The convenience of Keurig’s single cups comes at a premium in cost, compared to making your own ground coffee in a French press or drip coffee maker. One workaround that blends the best of both worlds is to fill Keurig’s reusable coffee filter with your own ground coffee. 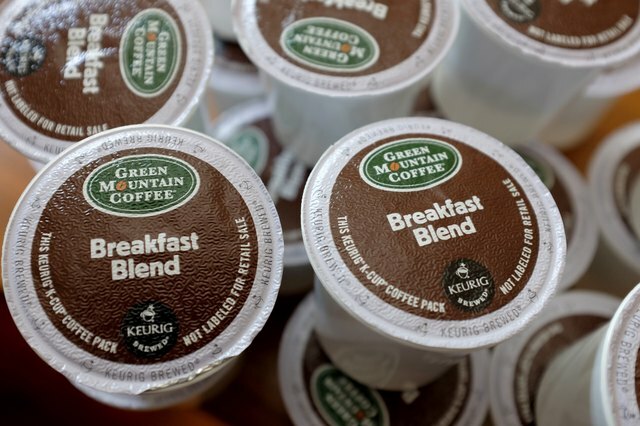 You can hack Keurig’s own reusable filter, called My K-Cup, to get stronger brews, or work instead with rival brands’ reusable filters to get the richest possible cup of coffee. The reusable filter works with the Keurig K-Cup models, such as the K10 Mini Plus and the K45 Elite. It doesn’t work with the K 2.0 “Carafe” models, such as the K250, K350, K450 and K550, which scan-read the coffee pod lid to adjust brewing variables to the strength and number of cups. It also works with other brands of single-serve coffee makers that accept K-Cups, such as Cuisinart, Bunn MyCafe, Hamilton Beach, Breville and Mr. Coffee. For best results, grind your own whole beans to a fine consistency just before making your single cup of coffee. The My K-Cup holds 10 grams of coffee, the equivalent of the standard 2 tablespoons needed for an 8-ounce cup. Disassemble the lid of the reusable cup, turning it counter-clockwise against the grey holder, and remove its silvery metal filter basket. Most users find that the unmodified My K-Cup allows hot water to whoosh through too quickly, resulting in a weak, watery brew. One workaround is to save a used K-cup and trim off its top to serve as an insert. Remove the grounds from a used cup and pull out as much of the paper filter as you can. Cut with scissors very slowly just below the lip of the cup to remove the cup’s upper edge as well as stray pieces of foil lid and paper filter. Go slowly, as the plastic may be brittle. Insert the used cup snugly in the filter basket. Carefully tap the ground coffee from your grinder into the used K-cup/filter basket unit, keeping the coffee below the top of the mesh. Avoid tamping the ground coffee. Twist the lid back on the filter basket carefully. Raise the handle of the Keurig or compatible K-cup machine to reveal the brewing chamber. Pull out the everyday holder used for disposable K-Cups. Its dark brown hard plastic blends in with the rest of the chamber. But if you pull on its raised edge, which has a white arrow at the top, it snaps out. Snap in the My K-Cup filter basket; it doesn’t need to be specially aligned. After you turn on your Keurig, and it warms up and reads, “Ready to Brew,” center a mug under the brewing chamber. Tap the round silver “Brew” button. 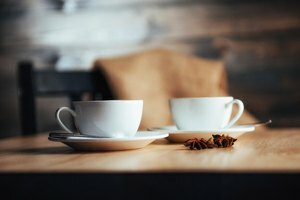 Your modified My K-Cup will create coffee for you, filtering much more slowly and creating a more densely flavored cup than an unmodified K-Cup. Let the filter basket cool; clean out the wet, now fluffy grounds in the plastic repurposed K-cup, and reuse. 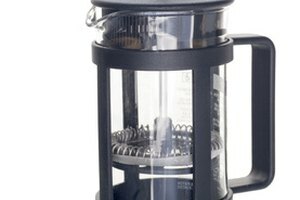 Ekobrew, better with medium or coarse grinds. It holds 13 grams of ground coffee, allowing for an especially rich flavor. Solofill, with four models featuring mesh chrome screens and designed to be used with fine grinds. It can hold 11 grams of coffee, compared to 10 grams for a K-Cup. EZ-Cups, with a paper filter to screen grounds especially well and a capacity of 11 grams. 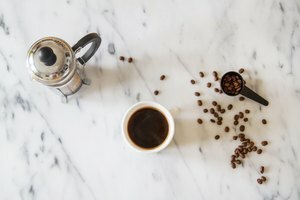 How Does a Coffee Press Work?